So my journey began on an Australian cattle farm, that turned into an Avocado farm, but that for me was always about the horses on the property… and of course the dogs. I grew up with a pointer named Beron, but the top dog of my life is my (now my mum’s) Weimaraner Maddie (Midori), who is both wickedly clever and knowingly beautiful! The avocado farm today is run by my sister Katrina and her GROWING family, but my mum is still top dog I’m sure, and has stayed on to watch over the farm as she enjoys training her imported Lusitano ALANCELOT! The Bluestone hut is still standing, the place that started it all….. But I have found a home in Portugal, and when people ask me if I am ever lonely i answer a definite no! I think that loneliness is a state of mind, just like boredom is inherent in boring people! I have my two best friends in the world, training and working with me everyday, and with technology today I actually feel that my relationship with my mother in particular is as strong as ever. Adopting the role of INTERNET TRAINER, I speak to my mum via Skype every night, and I find the conversations to be ALOT more rewarding than the ones you have when you are at home. People say technology has made us distant, but I would argue that it actually connects us and makes us more aware of this time, and more prepared to use it effectively! So my journey in Portugal is never lonely, and the people I have met here have been exciting, passionate, hysterical, and talented, sometimes all at once! The Portuguese mum, for example, of which I now have several, are like a cross between Martha Stewart and Donna hay, and I realised very early on why so many grown men still live with mummy! 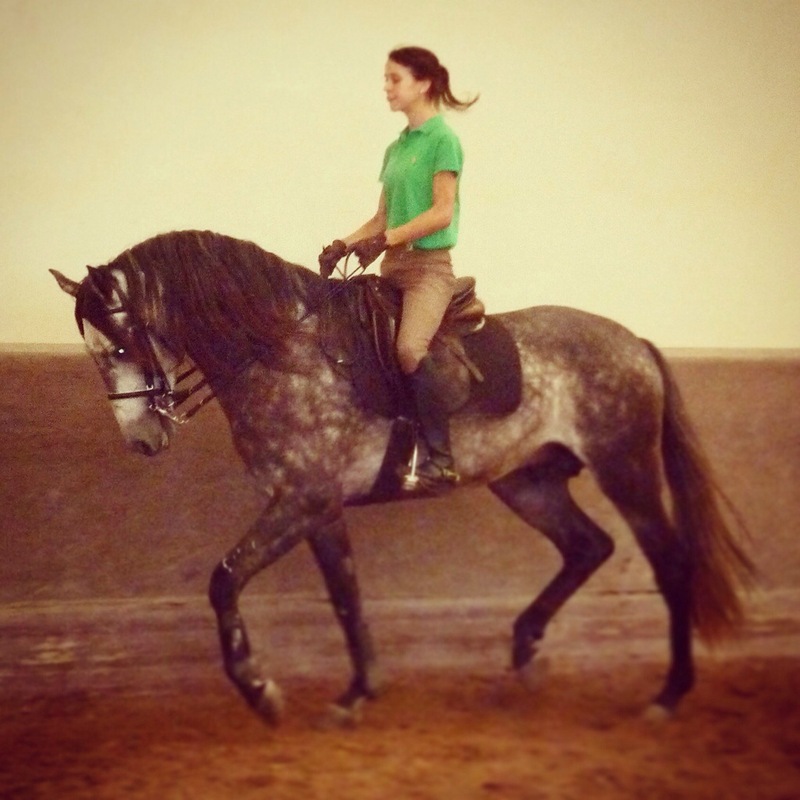 My Portuguese journey is as much about the TRAINING as it is the horses, and so here is where my journey began, my very first classical training article, as I began my riding life in Portugal with the soon to be Olympian Gonçalo Carvalho Conchinhas.